You all are so creative with your posts. I absolutely love seeing your kids doing MELT as well!! 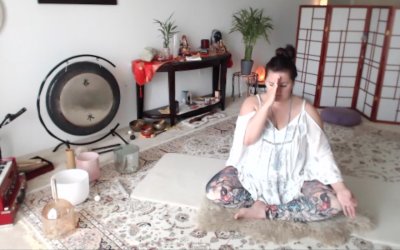 Here’s a recap of Day 5 of MELTed Self Care Challenge and day 19 of Flow It Together Yoga Challenge! Snap a pic of the 3D Breath from the MELT Rebalance Sequence or your favorite breathing/meditation exercise! I LOVE the Rebalance sequence, which is where the 3D breath is done in MELT! We are encouraging more mobility to the 3 dimensional movement of our Diaphragm, which is like the conductor of our nervous system. This sequence helps to rebalance the stress reflexes, helps to maintain optimal organ function and gut support. Remember, the connective tissue is supporting EVERYTHING inside of you, so treat it and you can improve the overall function of your body’s systems! Did you know that your diaphragm is more than a breathing muscle? With every breath you take it works with the pelvic floor and deep core muscles to protect and support your spine. Sometimes our diaphragm can become inhibited or sticky around the rib wall. We love the MELT rebalance sequence, because it restores proper diaphragmatic function and also helps our body gain a better sense of where we are in space. It also helps us tap into our parasympathetic nervous system for better stress regulation. What’s your favorite way to find your breath? Tag #MELTedSelfCare and @indigokinetics and @thedancingsoul. Today I truly feel the emptying of all the old ways and beliefs that no longer serve me. The funny thing is, the emptier I feel, the more full of love I feel! !